The Teijin Group is providing its chemically recycled polyester fiber, ECO CIRCLE FIBERS, for the production of uniforms worn by players in the China Basketball Association (CBA). The uniforms are made by Li Ning Co. Ltd, a major Chinese manufacturer of sports apparel. The ECO CIRCLE FIBERS are being sold through Zhejiang Jiaren New Material Co. Ltd, a joint venture (JV) between Teijin and Jinggong Holding Group. 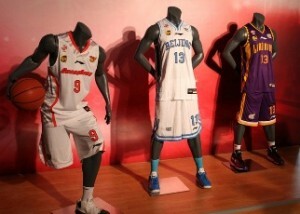 The material also will be used in any CBA uniforms that are marketed commercially. After use, the uniforms can be recycled into polyester fiber of the same quality as conventional fiber by using Teijin’s ECO CIRCLE closed-loop system for the chemical recycling of polyester, according to the company. The recycling will be carried out at a chemical recycling plant that Zhejiang Jiaren New Material will start operating in May 2014.